I Created A Monster. I Tried To Stay Away From The Monster. The Monster Was Too Delicious, So It Won. And Then I Won. …But only so I can show you the AWESOME spot I helped put together! I can’t tell you how proud I am of this thing. Really, I am so, SO happy that I was even able to be a part of it. It was so much fun, and I personally think it’s a pretty brilliant little piece, thanks to an amazing cast and crew (the writer/director knocked my socks off with this one, and no that’s not because I’m a little biased toward him ;)). So, yes, being able to finally debut this was exhilarating. My mood has certainly improved thanks to all of the kind words attached to this video, even though most of the credit isn’t mine. Still, I’m super happy. Weird, right? Weird to see “super happy” on this blog. Ah well. Let’s all just try to deal with it as best we can, shall we? Wait! Hear me out! I know there have been many stranger, more complex, more interesting baked goods on this site. I know. But nothing, and I mean NOTHING, works for me quite the way the magical combination of chocolate and peanut butter does. I’m not even exaggerating. That these were incredibly easy to make only rocked my already-rocking world until up was down and happy was Sad Shibow. Let’s get it, kids. Line a 24-cup mini muffin tin with cupcake liners. So, some of you will be pleased to know that these particular cups are vegan as well. Hoorah to you, and me, and everybody! Set chocolate chips in a large bowl over a pot of simmering water. Stir constantly until completely melted. Now, drop about half a teaspoon’s worth of the melted chocolate into each cupcake liner, and use the back of the spoon to coat the bottom and sides completely. You will have leftover melted chocolate, which we’ll be using in a bit, so please don’t get crazy with what you’ve got left. 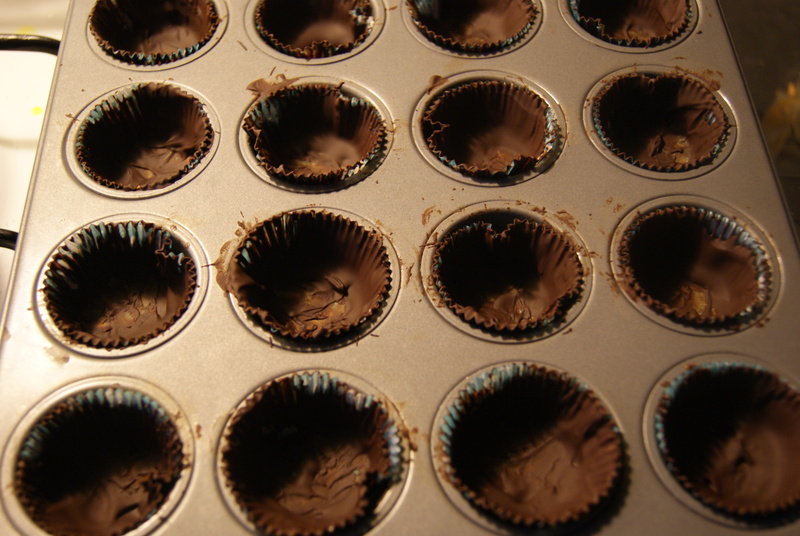 Once you’ve coated every liner, send the tin into the refrigerator for about 15 minutes, or until the chocolate hardens up. 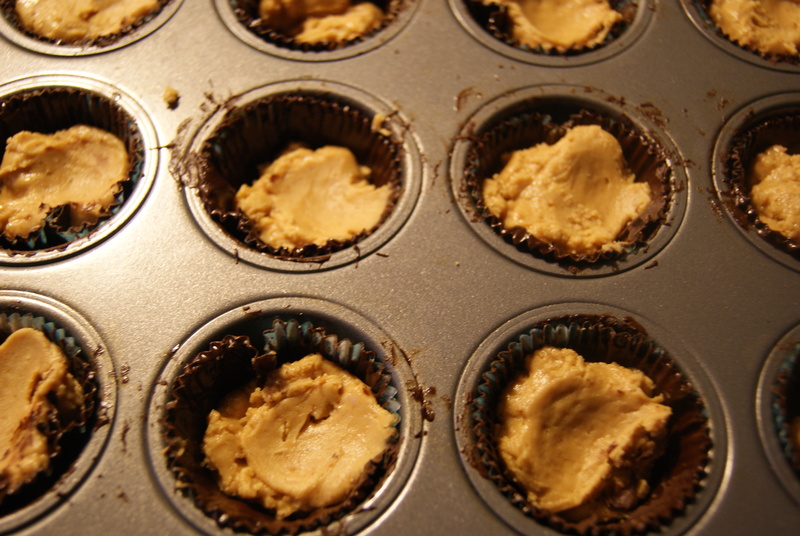 While you wait, start in on the peanut butter mixture. In a medium-sized bowl, stir together peanut butter, sugar, Puffins and salt. You should be able to hand-stir this thing. You should also probably taste test, to mentally prepare yourself for the awesomeness you will be dealt once this whole thing comes together. 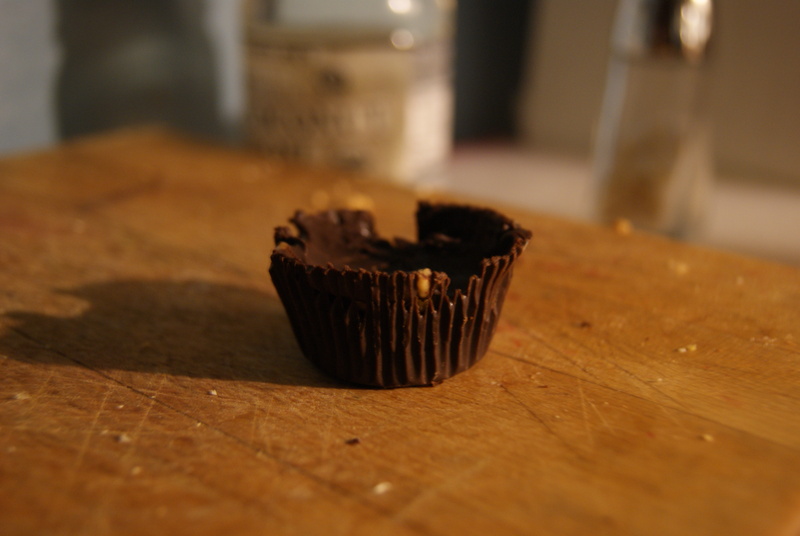 Once your chocolate’s hardened, remove the tin from the fridge and evenly distribute your peanut butter filling among the cups. Then, drop more of your melted chocolate (you may need to re-melt at this point) on top to completely cover the peanut butter, and flatten the tops with the back of a spoon as best you can. 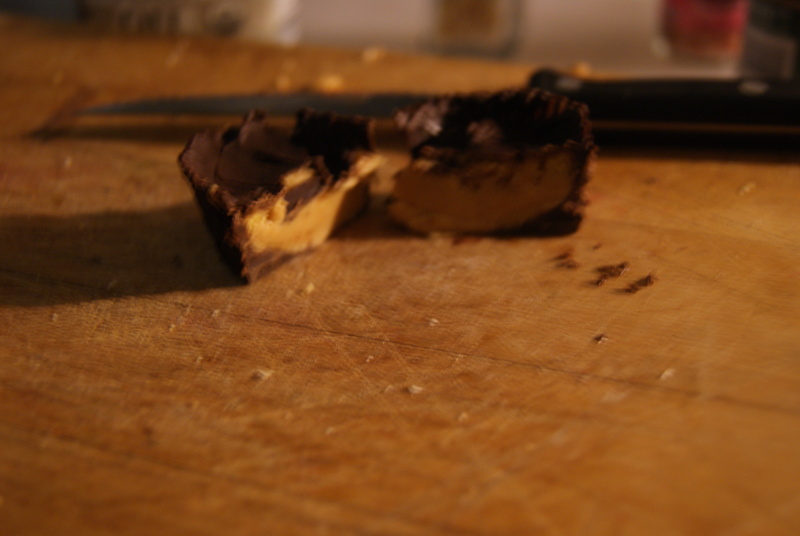 Send back into the fridge for about half an hour or until the chocolate has hardened completely. ← Fancy. Weird. Delicious. Well I’m Flattered, But No, We’re Not Talking About Me Silly!